Below are different options of lettering treatments for the 3 doors. Each door will have hand painted lettering in white. 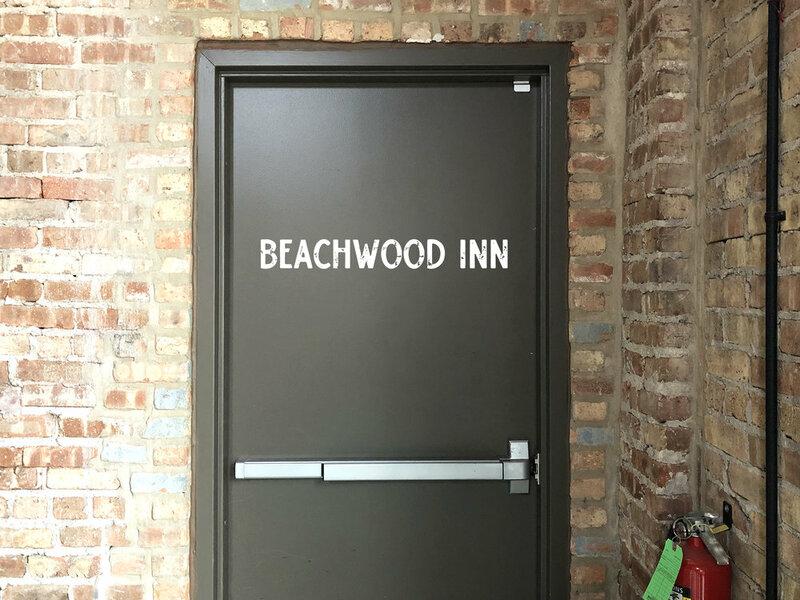 Once a lettering style is chosen, I will create additional renderings for the other 2 doors with ‘A1’ and ‘Beachwood Inn, 1748 N Beach’.